In addition to being the reigning cause of chronic liver disease in the United States, Hepatitis C is also the most common reason for liver transplants in this country. A liver transplant is typically performed as a last resort, and is only considered when all other forms of treatment have been unsuccessful. 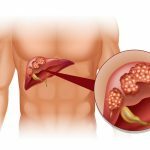 Referred to as end stage liver disease, this is when the person’s liver is no longer capable of performing its many functions, and can no longer support life. If an appropriate liver donor is located, individuals in the predicament of end stage liver disease win a second chance for living a healthy life. After a challenging battle with disease, liver transplant recipients typically experience renewed hope. The replacement of a cancerous or cirrhotic, non-functioning liver with one of healthy texture and loads of promise propels liver transplant recipients through the requisite surgery and subsequent drug therapy. 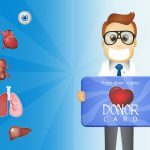 While receiving a new organ may give the impression of starting over with a clean slate, a recent study warns that this is not the case. Even with a brand new liver, people with Hepatitis C typically experience a resurgence of the virus. Instead of scaring people in end stage liver disease away from the hope of a new liver, this new research confirms that liver transplant recipients must take every step to support the health of their new liver. According to a recent study published in the February 2006 issue of Liver Transplantation, the official journal of the American Association for the Study of Liver Diseases and the International Liver Transplantation Society, liver transplant recipients with Hepatitis C typically experience a rise in viral load soon after this procedure. When a diseased liver is removed from a person with Hepatitis C, viral levels plummet rapidly. However, after receiving a healthy liver transplant, virus levels rebound and can even surpass pre-transplant levels within just a few days. Researchers at the Los Alamos National Laboratory in New Mexico used a mathematical model to quantify the liver re-infection dynamics of Hepatitis C. The researchers, in collaboration with a surgical team at Duke University Medical Center, followed six Hepatitis C-infected patients who received liver transplants from cadavers. Blood samples were collected before, during and after transplantation to assess changing levels of Hepatitis C genetic material. The data was then plugged into a mathematical model to analyze the recurrence of the Hepatitis C virus. The study’s results suggest that although 96 percent of Hepatitis C’s source is the liver, non-hepatic viral particles capable of re-infecting a healthy liver still remain. Their findings also support the understanding that the Hepatitis C virus replicates rapidly in the post-transplant immuno-suppressed patient, leading the authors to suggest that early antiviral therapy may delay or prevent re-infection. This tendency also supports providing as much ammunition as possible to protect a newly transplanted liver. Although Western medicine has a great deal to offer those suffering with the Hepatitis C virus, other disciplines provide the ammunition missing from this solitary medical approach. 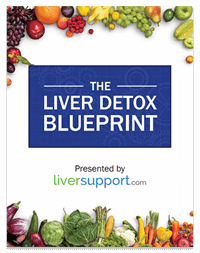 With such compelling evidence demonstrating the need to encourage healthy liver function in post-liver transplant recipients, complementary medicine avenues conveniently fill this gap. Another study appearing in the July 2006 issue of Liver Transplantation examined antiviral therapy’s effect on Hepatitis C recurrence in liver transplant recipients. 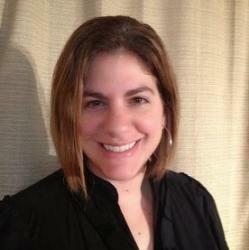 Led by Marina Berenguer, MD, of the Servicio de HepatoGastroenterologÃ­a at the Hospital Universitario La Fe, in Valencia, Spain, researchers found that better viral suppression was achieved when using a combination of pegylated interferon and the antiviral drug ribavirin than standard interferon and ribavirin. Pegylated interferon is a longer acting version of this particular antiviral drug. These results suggest that the earlier and more aggressive the medical treatment is, the better chance the patient has of defeating the Hepatitis C virus. However, because liver transplant recipients are at high risk of organ rejection, this plan is not without its flaws. While strong doses of antiviral medication may minimize Hepatitis C re-infection, their effect on the immune system may also magnify the risks in acquiring a new liver. 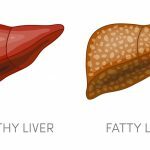 While scientists are now focusing on the ideal way to administer potent antiviral therapy to Hepatitis C patients sporting a new liver, the flip side of this approach is to bolster the liver’s health by strengthening and protecting it. One option repeatedly proven to provide such liver support and protection is the use of milk thistle. A search of the National Institutes of Health database reveals 188 studies on milk thistle, many of which center around this herb’s demonstrated safety and effectiveness in protecting the liver. Although a liver transplant may not be the definitive answer to Hepatitis C infection, options do exist to support the longevity of your new liver. Do not be discouraged; while western medicine’s many amazing feats may be riddled with holes, complementary options can fill them. If you or someone you know has end stage liver disease and is a candidate for a liver transplant, consider milk thistle or another complementary medicine modality to increase their chances for having a healthy liver and living a long life. www.endonurse.com, Treating Hepatitis C Recurrence After Liver Transplantation, Virgo Publishing, 2006. David Gretch, MD, PhD, Fred Hutchinson Cancer Research Center, 2006.
www.gicare.com, Reasons for Liver Transplantation, Jackson Gastroenterology, 2006. MediLexicon International Ltd., February 9, 2006.